Finally some good news for restaurants. In the face of lots of bad news. New rules on minimum wage. Don't even bring up insurance costs! Just when you're about to throw in the apron (bad pun, we know), there's some good news. On the health insurance for restaurant employee front anyway. Already offering coverage to your restaurant employees or want to as a way to keep the good ones in a tight labor market...we finally have an option. If you need to get back to the 24-7 business, here's the main takeaway. United is offering an Association plan to restaurant employees. We're seeing savings of 30% against all other group health plans. Even against United's standard plans. Otherwise, let's dig a little deeper in the National Restaurant Association option. Lots to save...so let's get started. This is probably the first big use of the expansion of Association health plans. Association health plans allow carriers to offer special pricing to select groups of people. In this case, it's restaurant and hospitality workers. We're seeing discounts up to 30% versus the lowest priced plans on the market. That's a huge deal for restaurants, bars, hotels...any company that serves food to the public. Special pricing on health insurance for hospitality and restaurant workers. This matters for one important reason. The restaurant and hospitality sector has the highest rate of uninsured. The market is incredibly price-sensitive. Employers are looking for ways to offset absenteeism, turnover, business moral and culture. It's just been to expensive till now for them to offer group benefits to employees. This is a big deal in health insurance. Let's look at the players. 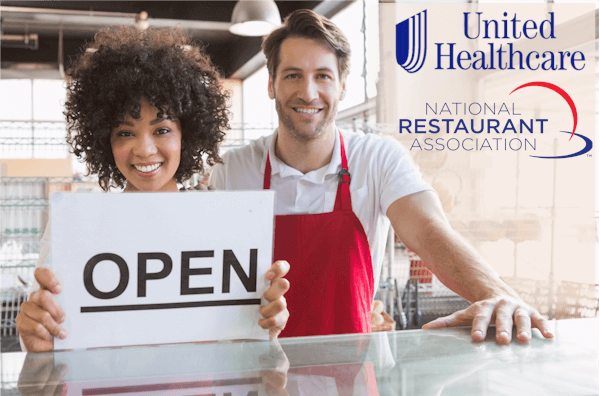 Who is United Health and what is their relationship with the National Restaurant Association? United is the largest single owned carrier in the United States. They're generally top 3 in health insurance across all metrics. It's not surprising that the National Restaurant Association picked United. United is the currently the biggest and best for Nationwide coverage. Maybe more importantly, they've been willing to try new things in order to bring down the cost of health insurance. First we had the health insurance plans for engineering firms from United. Now we have specialized options for restaurant and hospitality employees. This is a much bigger deal though. We're talking about millions of employees! Speaking of which, who is the National Restaurant Association? The other part of this, the NRA is one of the largest associations in the nation if not the world! Representing a lot of workers. This sector also has the highest level of uninsured. The United health plan partnership with the NRA and CRA is a perfect fit. A need for affordable coverage and a specially priced option tailor made for hospitality employees. NRA/CRA membership is required in order to enroll in the new United health plan. This requires just over a 2% fee but if we're saving upwards of 30%, that's a small price to pay and it supports advocacy for your sector. They also have a host of insight, benefits, and support to help restaurants function better and more profitably. Don't worry...California's not left out. 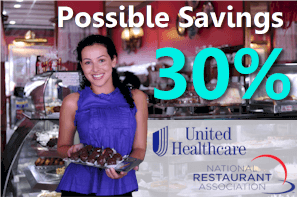 The California Restaurant Association is also partnered with United Health to offer this special suite of group health plans. The same discounts up to 30% apply for California restaurants. You can quickly run your quote here to see what the rates and plans look like. There's no cost for this service. 100% free to you as licensed United agents with authorized access to this NRA/CRA plan. If you already have United, you can even move to the new NRA/CRA health plan if eligible. More detail on the California Restaurant Association plan here. Okay, just joking but sorta not. Basically, the association health plans do not have the ACA requirements. United is able to offer plans similar to what we had prior to 2014 when the Affordable Care Act or Obamacare was enacted. That alone is a reason for the significant savings. The differences will vary by State as some already had many of the protections. One difference is that these plans are medically underwritten from 2-20 employees. They can decline based on health of the group depending on size of the company. We've had good success with underwriting though. Most groups get approved so it's not a big deal. From 21-99 employees, there is no medical undwriting! When we send you the United NRA quote, you'll be able to see the differences in coverage. Just run your National Restaurant Association United health quote. Basically, a company that serves food to the public. What about basis eligibility requirements? Companies with 2 - 99 employees are eligible. For larger companies, there are discounts available. 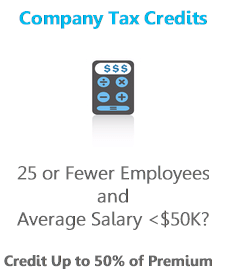 50% of the full time employees must participate. We can help you figure out the eligibility piece directly since every company's situation is different. We can sign up if you decide to enroll. Those are the main requirements. We are happy to walk through your company's situation at 866-486-6551 or by email. Hispanics have accounted accounted for 56% of population growth in the US from 2000-2010. Their important and impact in the restaurant and hospitality sector is primary in the US. They are also one of the most underserved and underinsured segments of the population. United decided to do something about this with the Latino Health Solutions program. This will be especially useful with the National Restaurant Association plans. The Latino Health Solution goes beyond spanish language support and documents! United's PlanBien will be especially helpful in bridging the gap for this population. PlanBien offers a full suite of bilingual, culturally relevant services, tools and resources especially designed for restaurants and hospitality businesses with Spanish-speaking employees. Access to dedicated, bilingual customer care professionals trained to understand the common doubts and hesitations that some Hispanics have about enrolling and using their health care coverage and who help our Hispanic members to better navigate their healthcare coverage benefits. Online provider directories that indicate to our members the offices that provide Spanish-speaking doctors and/or staff. Bilingual websites with an array of useful bilingual educational health and wellness brochures especially designed for Spanish-speaking employees, and which address common health issues of concern. Web-based bilingual tools and resources such as podcasts, interactive health modules and biometric health calculators. PlanBien SM is currently available in Arizona, California, Colorado, Florida, Illinois, New Mexico, Texas and Utah. We have a choice of different United networks to meet every company's budget. Everything from United's full PPO Choice network to narrow networks for discounted pricing. When you run your quote, think about your ideal budget and we can then quote accordingly. We're happy to help you investigate how to get the most benefit for your size company. Just call us at 866-486-6551, email us, or request your quote. Hard to get excited about health insurance but we're...very...close! We'll turn around the proposal...usually in 24-48 hours during business time. We're happy to help with any questions and the United option is available in most States. There are additional savings for dental, vision, life, and critical illness but the real advantage is on the medical. What many restaurants do is to set a per-employee budget. The employee can then pay the difference with pre-tax dollars! This is done with an inexpensive POP 125. 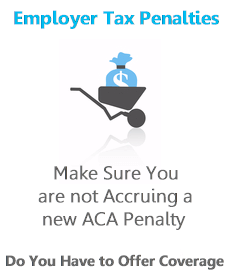 This can bring down an employee's share of the cost by 20-30% depending on tax bracket! Close to a slam dunk as you can get. The savings can usually beat tax credits offered by Obamacare depending on employee's household income and employer's contribution. Talk to Starbucks employees on why they go to work and stay there. Health insurance is generally in the top 3. You can use it to get the best people and keep them! We can help you afford to do it! No cost for our services as licensed agents. Zero! We're happy to walk through any questions you have. If we can save you up to 30% on your health plan costs, let's do it! Once we know we can save you quite a bit on health care costs, how do you move forward? The process differs depending on size of company. Either way, we're here to guide you and take the heavy lifting off of you. Since it's a special program, the underwriting is still manual. Don't worry, we'll deal with the carrier, scrub the forms, and make sure it's set up correctly. There's no cost for our services. Zero! The rates are identical with us as direct but you'll have a 3rd part advocate. Call us at , email us, or request your quote. We're very excited to finally have a way for restaurants to afford health insurance for their employees. There's a lot of pressure on restaurants these days. If we can carve out up to 30% on health care costs, offer the best carrier out there (United), and keep employees happier with their employer. Let us get to work! We'll go based on your budget to find all options that work within that number. This usually works the best for restaurants and hospitals since cost is such a crucial issue. 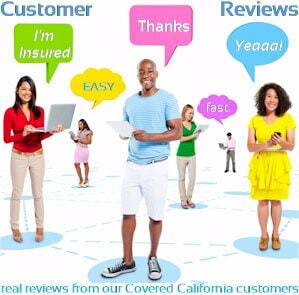 Of course, we're happy to help at 866-486-6551 or by email. You can request your United and NRA/CRA quote here. No tip required. 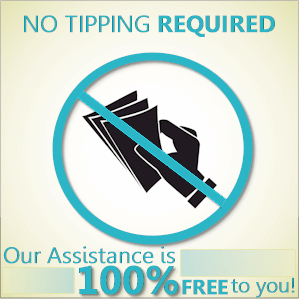 Our services are free to you! 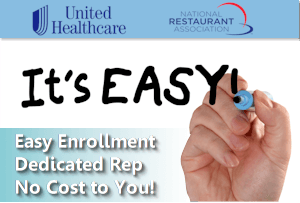 You can run your Free United Health and National Restaurant Assocation Insurance Quote here to view rates and plans available under this special program. 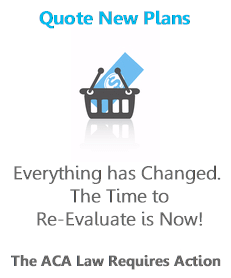 Get information on Restaurant Group Purchasing Organizations here. Again, there is absolutely no cost to you for our services. Call 866-486-6551 Today! 2018 Copyright All Rights Reserved by Goodacre Insurance Services.